Sissy’s birthday extravaganza seems to be coming to an end. There was the party, the cupcakes, the breakfast in bed. (You can catch up here if you missed it: Breakfast in Bed and Double Digits or Breakfast in Bed Update) Sissy has moved on to the thank you note part. 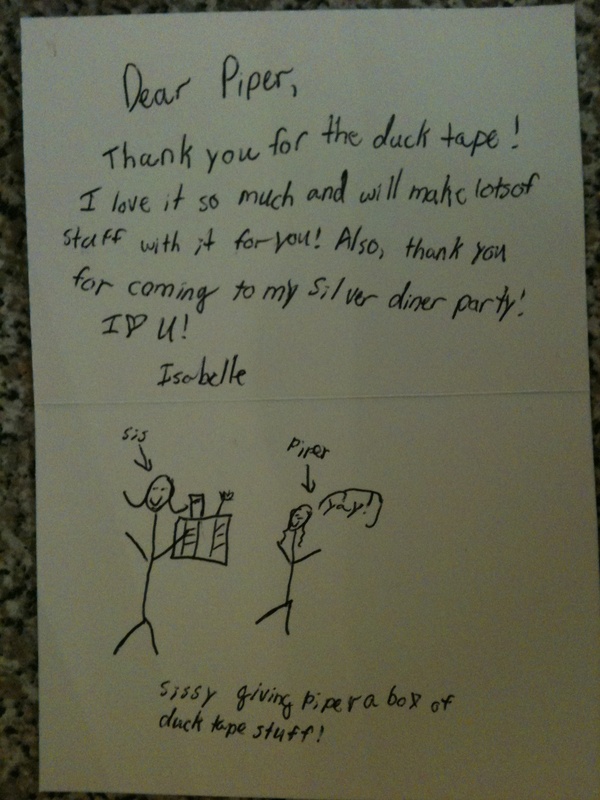 And her thank you notes come with personalized book marks made out of…you guessed it: duck tape. No feathers included. This entry was posted in Gratitude and tagged birthday parties, duck tape, duct tape, kids writing thank you notes, parenting, piperism, sister bonds by melissa.scholes.young. Bookmark the permalink. Thanks! Sissy made them as favors for each of the guests at her birthday party. Sissy is very crafty with the duct tape! Our house has a whole new decor. 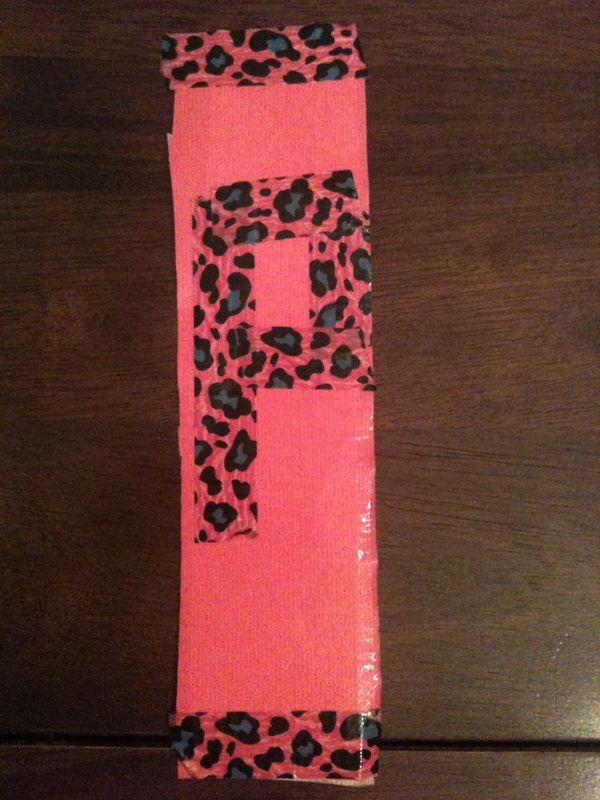 Nothing is safe from the remodel of leopard print duct tape. We’re fancy like that. Thanks for reading, Beth!